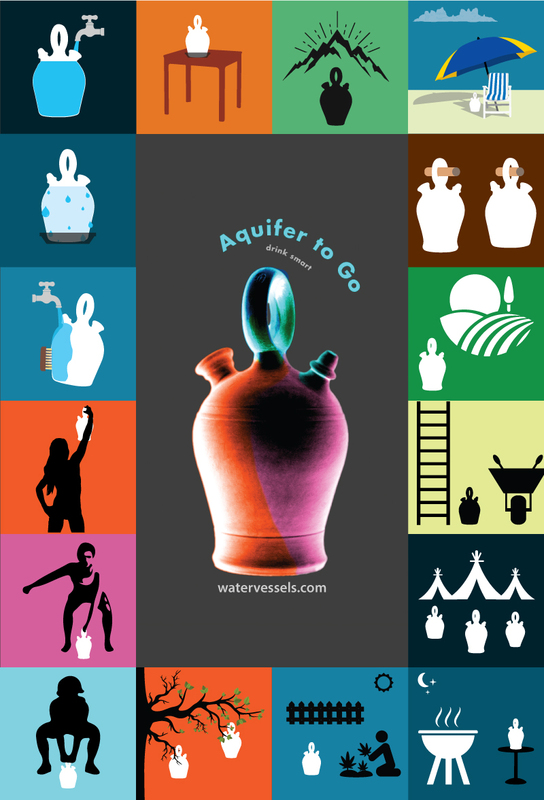 An aquifer-to-go is a unique type of water vessel . The round shape of these vessels create a spinning vortext that keeps the water alive and active. They function much like a living aquifer. An aquifer is a body of permeable rock in nature that can contain or transmit groundwater. 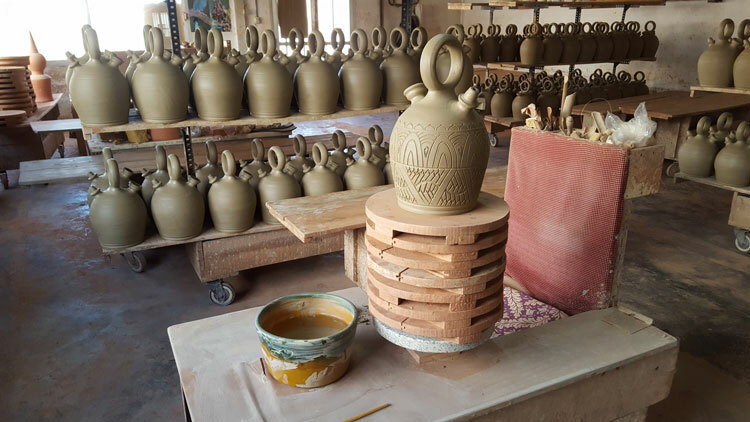 This particular claybody when fired in a kiln, comes out with the proper porosity so that when water is poured in, it slowly comes flowing out of the walls just enough to keep the water cool and purified. The claybody also has minerals that it adds to the water that enriches the water itself and also the taste. This water vessel function just like our bodies. Once you fill it up with water it mostly made of water, and it so lives and breathe just like you. It is a water vessel that sweats like you, and when dry, expels a snow-like salt telling you that it needs to be rinsed and filled with drinking water. These vessels from Spain have evolved over 8 generations and have nourished the lives of millions. They are all hand made through a difficult process of mindful mastery of the art of factory-style pottery.